China Village is a Chinese restaurant featured on the KQED public television program Check Please back in 2008. They specialize in Szechuan (Sichuan) Chinese food but serve other styles of Chinese Food. China Village is in the 2010 Michelin Guide as a listed restaurant. We were nearby and finally had an excuse to visit. 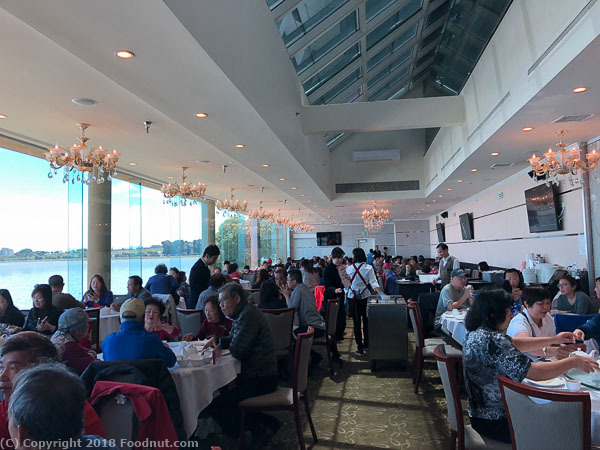 Our last visit was in the summer of 2018, after they re-opened in July 2013 and remodeled the restaurant after a fire. We noticed in 2018 that China Village was 90% non Asian, having become a fixture here. The waiters speak English, so no worries for all! Decor, Vibe – China Village has modern decor for a Asian restaurant. They remodeled in 2013 and significantly improved the decor. It is located in the Solano avenue business district of sleepy Albany, just north of Berkeley. China Village had big groups celebrating, families, and couples. 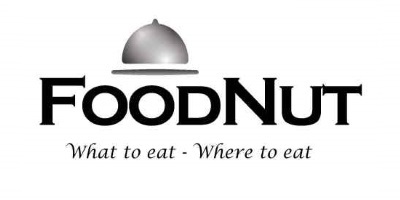 It seems like more of a dinner place than lunch. China Village Specializes in Sichuan food that is almost always spicy. Order items with asterisk next to them to ensure you get the specialties. There is a Chefs Recommended menu that you should ask for. West Style ($16.95) Spicy Fish Fillet with Green Bean noodle, 1000 chili peppers, chicken broth – This is their signature dish that many people drive to the restaurant for. The serving bowl is opened and the top is totally covered with chilis. The chilis add more of a peppery flavor to the soup than pure heat. The fish was plentiful and the noodles were good. If you have some people that do not like spiciness, they can scoop a bowl or two for them ahead of time. Hot and Cold Salad ($19.95) is a nice mix of ingredients that put together is an acquired taste. The wasabi mustard dressing is unique and may not suit everyone. Old Fashion Tea Smoked Duck (Half, $17.95) – Had a good quantity of smoked duck along with several nice buns and plum sauce usually served with Beijing Duck. The duck was tender and not overly crunchy. Even better the next day. Abalone Mushroom with Pea Shoots ($15.95) – Was on the chef’s signature dish list and is a must order for fans of these exotic mushrooms. The pea shoots were bathed in a slightly oily sauce, but were cooked well nonetheless. Chai Chai Soybean Noodle ($7.95) – Were homemade and created without eggs. The sauce was very thick and only slightly meaty. A decent noodle dish for those who appreciate homemade noodles. Classic Sizzling Rice Soup ($9.95) – Is an Americanized Chinese restaurant favorite. They didn’t crisp the rice enough, but the soup was made reasonably well. Chong Qing style spicy chicken wings a.k.a. thousand chili chicken ($9.95) was a super spicy excellent version of this classic dish. Cubes of fried chicken with lots of bones and crispy skin. Lamb Seasoned with Cumin ($13.95) is another signature dish. Full of delicious sliced up gamey lamb, cumin, bell peppers, and onions. Greasy and too spicy, this dish is solid but not as good as Beijing Restaurant in San Francisco. We had to ask them to redo it less spicy. Steamed lamb dumpling with green onion ($4.50) looked pale and unappealing, but proved to be freshly steamed, full of juicy soup, and chock full tasty of gamey lamb. Green Onion Pancake ($4.95) was hot out of the fryer, oily, crispy and good. Later we realized they were pretty thick and could have more green onion flavor. A choy vegetables ($8.95) were not on the menu but was served cooked with garlic. A solid version, although a bit on the greasy side and slightly watery. They had run out of pea shoots. Classic Chicken Noodles ($7.95) – Home made Hand rolled noodles (No egg) form this chicken chow mein. Solid, but nothing spectacular. We tried a combination version on another visit and found it edible but not super. Sichuan style spicy cold noodle ($6.95) was served with pork or chicken and some sliced cucumbers. There are egg noodles were decent but overall the dish was on the dry side and not up to the standards of other places like Crouching Tiger. Sesame Flat Bread (Big, Yeast raised, Rice replacement) ($4.95) – Was a very big and puffy cake-like bread dish. Not a lot of flavor. Lightly fried crust. Organic Steamed Chicken with Scallions ($14.95) was a Cantonese style dish and as expected, was workable but not top notch. We just felt a need for some non spicy simple chicken dish. Lots of bony chicken in a very oily sauce. Next time we’ll stick to the Szechwan dishes. Classic Dry Cooked Green Bean ($7.50) – Had lots of fresh green beans with a sugar and soy sauce coating. Good but a little salty. Eight Treasure Rice Pudding Dessert ($6.50) was a solid rendition of the classic but not as good as 5 Joy’s version. The rice was fairly stiff, but the sweetness level was moderate. This dish came fast, so it was probably not frozen. Dumplings in Rice Wine Dessert was a complimentary dessert soup we got when we asked the waiter if there was free dessert. Shanghai Xiao Long Bao ($4.50) – We had an itch for dumplings but knew a Sichuan place couldn’t do Shanghai cuisine justice. As expected, they had thick wrappers, big chunk of meat, and minimal soup. China Village’s service was adequate, better than many similar places. You still need to hail the waiters for many needs. On our last visit in August 2013, their Service had fallen off. We had to wait almost 20 minutes before we could order. Clearly, they were understaffed and struggling. Value of their dishes was good, as each provided pretty good quantities of food. Their wine prices are cheap, $4.50 per glass, but variety is limited. Beer may be a better bet to cool the spiced up palate. There are not a lot of places providing this level of cuisine in the San Francisco Bay Area, so we would definitely be back. Crouching Tiger in Redwood City is one place that comes to mind. China Village is not really a place to go to get simple chow mein or pot stickers or for Cantonese Chinese dishes, it is a place to go for unique regional Szechwan dishes, most of which are spicy. Hours: Sun-Tu 11am-9:30pm, Wed-Th 11am-10pm, Fri-Sat 1030am-1030pm. My biggest complaint about China Village is the dishonest way in which they advertise their prices – they are literally running a scam operation. I realized this a few months ago when I looked at one of the their carry-out menus stacked on the cashier’s counter at the restaurant entrance. I placed an order (3 items) and was startled when the middle-aged Asian woman acting as cashier gave me a total price way more than I had mentally calculated. I showed her the carry-out menu & asked why the amount she just told me was so much higher. Whereas I had heard her speak in perfectly fluent English a moment before, she now started to speak in “broken English” and seemed annoyed at my questioning her. She shoved the restaurant menu (the one given to diners already at tables) at me and stated that “prices go up – here, see for yourself”. I pointed out to her that all of the carry-out menus, as well as the ones posted behind a glass window outside the restaurant entrance) showed lower prices (most dishes were at least one or two dollars less on those menus). The cashier then made a perfunctory show of taking the carry-out menus off of the counter and, putting them slightly aside & saying “we fix”. I noticed that she did NOT toss them in the trash can that was right next to her. The next time I went past China Village I noticed that the same carry-out menus with the phony lower prices were back on the cashier’s counter & the same exact menues were still posted behind glass outside the restaurant entrance. And this has been the case every time I have passed the restaurant for the past several months, including today. I guess the China Village management thinks that people won’t notice that they are being charged more than the lower prices advertised and/or, if they do, they’ll be too embarassed or lazy to question the actual higher prices charged or walk out. I am spreading the word about China Village as I believe they are being dishonest and probably breaking a ‘truth-in-advertising” law or regulation. There are a few other Chinese Restaurants on Solano Avenue that offer much better food and service, and are honest about their prices. I highly recommend them over China Village.